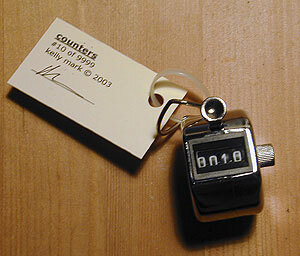 Stainless Steel Counter (10 of 9999). House and 50 television sets all tuned to the same channel. Private Conversations with Public Statuary. By Kelly Mark.